Michael Kors was born today, August 9, in 1959. He is an American sportswear fashion designer. 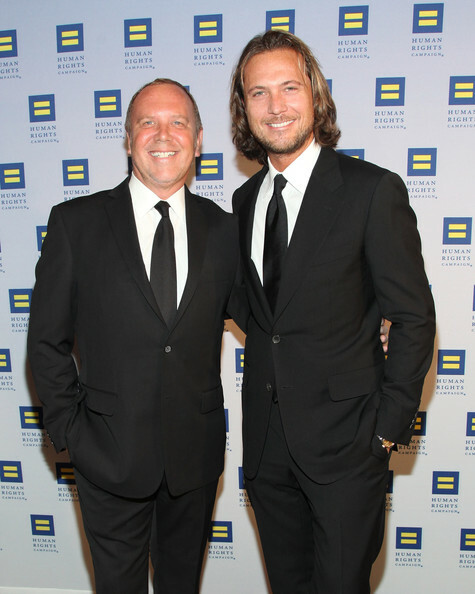 He is the honorary chairman and chief creative officer for his company, Michael Kors Holdings Limited, which sells men's and women's and ready-to-wear, accessories, watches, jewelry, footwear and fragrance. 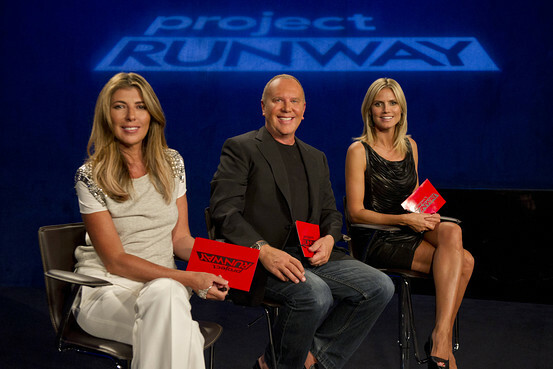 Kors was the first women's ready-to-wear designer for the French house Celine, from 1997 to 2003. Kors was born Karl Anderson Jr. on Long Island, New York. His parents are Joan Hamburger, a former model, and her first husband, Karl Anderson Sr., a college student. His mother remarried Bill Kors when he was five, and his surname was changed to Kors. His mother told him that he could choose a new first name as well; subsequently he renamed himself Michael David Kors. He grew up in Merrick, New York and graduated from John F. Kennedy High School in Bellmore, New York on Long Island. Kors' affinity for fashion started when he was very young. His mother thought his affinity might have been caused in part by his exposure to the apparel industry through her modeling career. Michael, at the age of 5, even redesigned his mother's wedding dress for her second marriage. 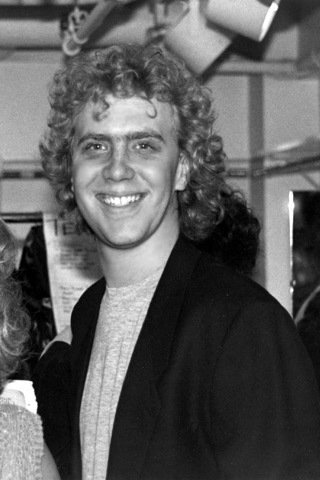 As a teen, Kors began designing clothes and selling them out of his parents' basement, which he renamed the Iron Butterfly. Kors also took acting lessons when he was young, but stopped when he was 14 when he decided to focus on becoming a fashion designer. In 1977, he enrolled at the Fashion Institute of Technology in New York City. However, he dropped out after only 9 months and took a job at a boutique called Lothar's across from Bergdorf Goodman on 57th Street in Midtown Manhattan, where he started as a salesperson and went on to become both the designer and visual display head for the store. Shortly after, Dawn Mello, the fashion director at Bergdorf's, discovered Kors. She asked if he would show his collection to Bergdorf Goodman's buyers. In 1981, Kors launched his Michael Kors women's label at Bergdorf Goodman. In 1990, the company launched KORS Michael Kors as a licensee. A Chapter 11 filing in 1993, caused by the closure of the licensing partner for KORS Michael Kors, forced him to put the KORS line on hold. He managed to get back on his feet by 1997 and launched a lower priced line and at the same time was named the first women's ready-to-wear designer for French house Celine. In his tenure at Celine, Kors turned the fashion house around with successful accessories and a critically acclaimed ready-to-wear line. Kors left Celine in October 2003 to concentrate on his own brand. Kors launched his menswear line in 2002. The MICHAEL Michael Kors line was launched in 2004, joining the original Michael Kors Collection label. The MICHAEL Michael Kors line includes women's handbags and shoes as well as women's ready-to-wear apparel. As of the end of the first fiscal quarter in 2016, Kors has over 770 Lifestyle stores around the world. Currently, Kors has Collection boutiques in New York, Beverly Hills, Palm Beach, Chicago, Miami and Southampton. In the U.S, his women's runway collection, labeled Michael Kors Collection, is sold at Bergdorf Goodman, Saks Fifth Avenue, Neiman Marcus, Bloomingdale's and numerous specialty stores. Michael Kors Collection is also carried at the brand's stores in London, Paris, Cannes, Milan, Tokyo, Hong Kong, Shanghai and Seoul. The year 2016 marked the 35th anniversary of Kors' business. 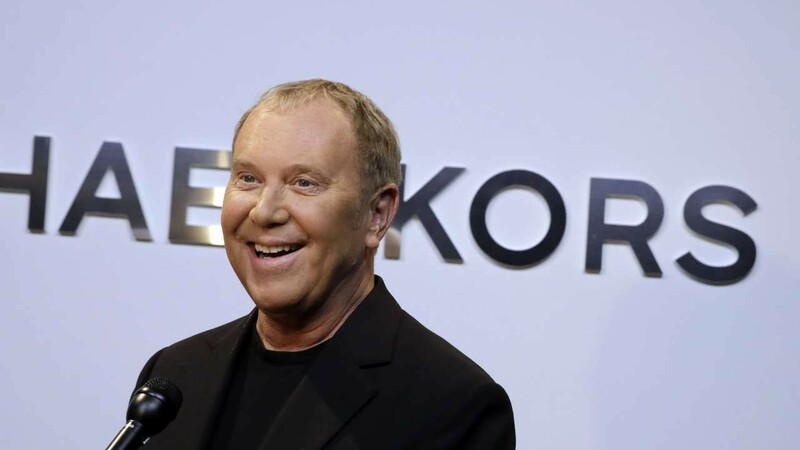 In January 2014, Forbes reported that Kors reached a personal fortune in excess of $1 billion. 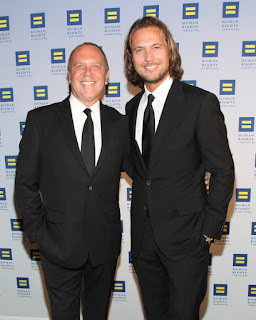 Kors married his partner, Lance Le Pere (right), on August 16, 2011, in Southampton, New York, in The Hamptons. For more of today's LGBT birthdays, visit the LGBT Daily Spotlight here.